A recital contest of the dreams of the popular Alice S*ft character! A fully voiced 2D battle game where fighting and magic meet!! levels of gauges! With replayable "Combat Record" mode so you can relive each victory! Includes bonus webpage data (www folder) for the first Record of Alice's War, which is no longer officially hosted. 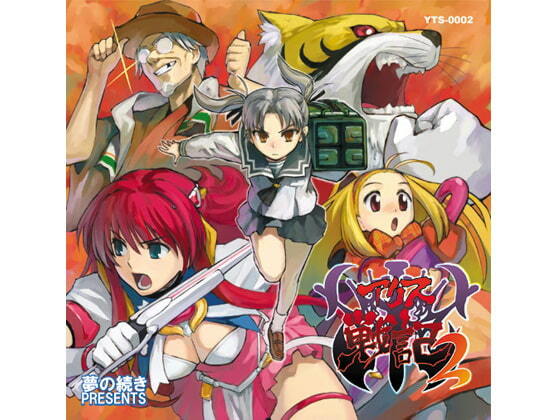 An original fighting game from Alice Soft, Record of Alice's War 2 features many characters from the company's catalogue of games, such as the well-known Rance and Escalayer. The fighting system is a little slow, which takes some getting used to unlike a majority of doujin fighters that have faster gameplay. It is not without its faults though. Some characters are quite imbalanced and can perform almost 100% kill combos. Other than that, if you like Alice Soft games, this is a recommended purchase.